I get teased a lot on BCDC regarding the fact that there seem to be so many birthdays in our family. Well, brace yourself, Cookies…we’ve got another party today! You’ll get all of the details tomorrow but for now just a few little tidbits. 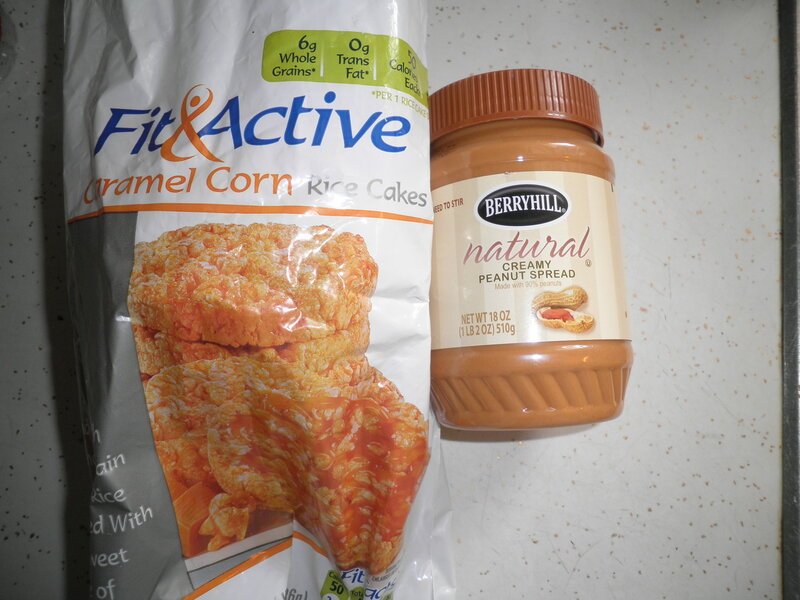 I’ve been getting the caramel corn rice cakes at Aldi and combining them with Aldi peanut butter. The combo is SO good and I’ve had it the last 3 days in a row for lunch. Something about the flavor combo I just love! 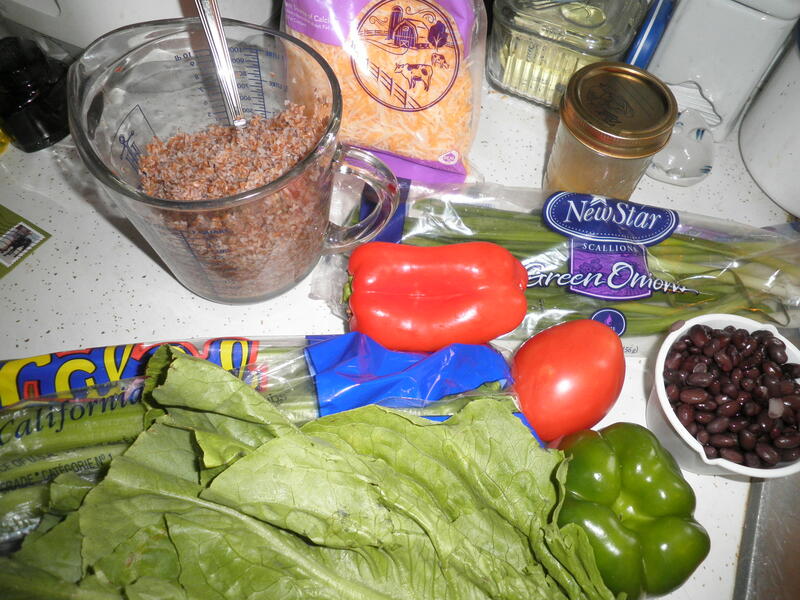 When I made my veggie combo on Thursday night, I remembered how much I enjoyed having grains, especially in salads. I remembered that I had some bulgur wheat in the cabinet that I had never opened. So…. “Cooked” it up. Really all you need is 1 cup of bulgur and 2 cups of boiling water poured over the bulgur. Just let it sit for about 15 minutes and it’s ready! 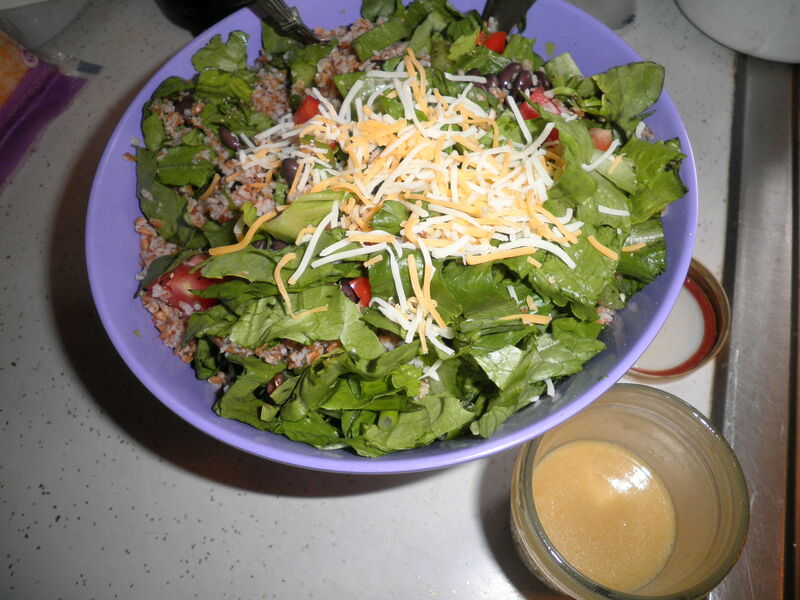 Made a salad of romaine, bulgur, celery, black beans, green and red bell pepper, scallions, celery and shredded cheese. Hopefully things go well at Weight Watchers. Then I get to celebrate at the birthday party! This entry was posted in Uncategorized and tagged Big Purple Bowl, salads, Weight Watchers. Bookmark the permalink. hope things go well for you at ww, fran! and have fun at the party! if you celebrate father’s day tomorrow, you can have a full weekend of celebrations! excited to see whose bday you are fete-ing today! yummy rice cake combo! 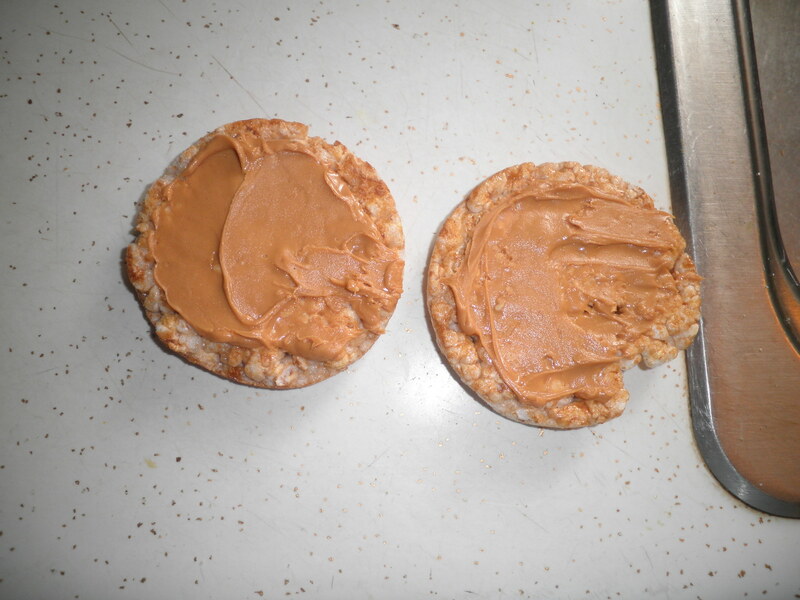 i bet choco rice cakes w the pb would be good, too (note to self…). love this salad mix, too! have a great saturday, fran! hope you have our sunshine, too! Cathy, it’s beautiful here…thanks for sending your Sunshine! Gotta be good at the party, not so good got me in trouble at WW. PB is good on almost anything! Mine will go on pancakes today (when I finally get off the computer and start making them!). Wasabi mustard in the dressing sounds yummy. Have a great day! Hope that you will be enjoying the Birthday party as well. Thanks for your comment. I’ll be working on the wasabi dressing next week. I’m looking forward to it myself! Absolutely!! This was a fun one! Thanks, Kat! I think you’ll like that combo…really good!